Festival Theatre, Adelaide Festival Centre, Thu 21 Jun. 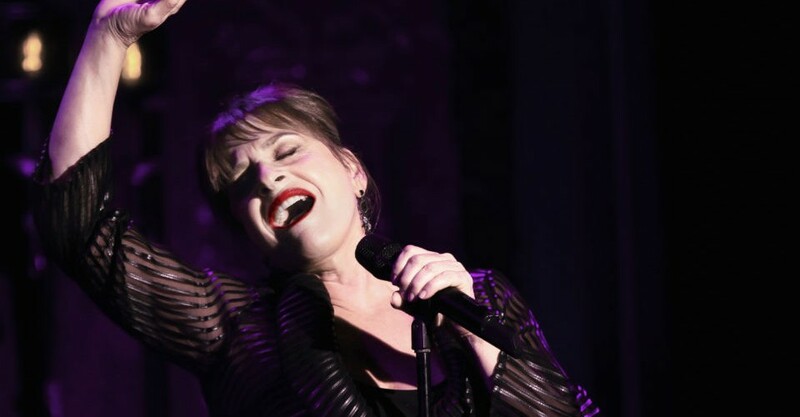 As one of the biggest stars to come to this year’s Adelaide Cabaret Festival, Patti LuPone certainly did not disappoint her adoring audience tonight. The multiple Tony and Grammy Award winning star of the stage and screen, did not simply stick to songs from her iconic roles over the past 40 years, but sang many of the musical theatre songs she grew up with that got her hooked on Broadway in the first place. Her first act included songs that influenced and shaped her from Bye Bye Birdie, Gypsy, Hair, a commanding rendition of Meadowlark (The Bakers Wife) and finished with a crowd-pleasing Don’t Cry For Me Argentina from Evita. She continued in the second act with crowd pleasers, like The Ladies Who Lunch (Company) and Sit Down, You’re Rocking the Boat (Guys And Dolls), supported on stage by Adelaide’s own Gospo choir. Patti LuPone kept the talking to a minimum between songs, packing in as much music as possible showcasing her mature, powerful voice and was superbly supported by musical director Joseph Thalken on piano. The nearly 70-year-old looked stunning and the staging was kept simple, relying on Patti LuPone to command the stage, which of course she did. She told the Adelaide audience tonight that she often wants to play all the parts in musicals, not just the brassy female roles and one of the highlights tonight was her West Side Story collection of characters she performed, especially singing Maria and Anita in the same song. Overall, it was a show no one wanted to end. A joy to see this Broadway legend on the Adelaide Festival Centre stage! A Broadway legend in full flight.